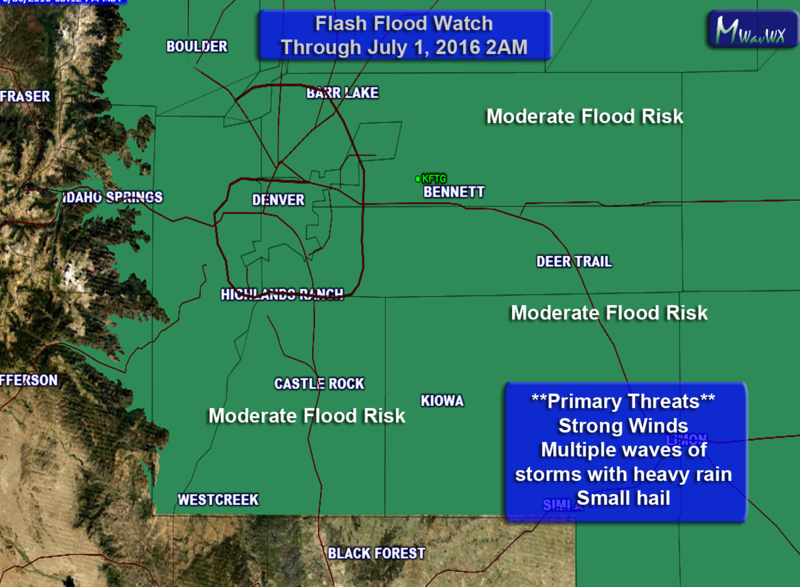 A strong storm system will begin to fire off storms along the front range this afternoon. Many of these storms are already in the process of of initiating along the Denver urban corridor. A series of fronts will bring cooler air and moisture with strong upslope conditions forming behind each front. Because of these conditions and a lack of upper level support, storms that do form will move very slowly or in some cases not at all. Air convergence will also mean storms may form over the same places over and over again, these conditions lead to the possibility of flooding. Most models show the highest amounts of rain North of Denver and in areas around the Palmer Divide. I think rain will be possible for most of us in and around Castle rock today but the day I’m more concerned about is Friday. Some models show upwards of 3-4 inches of rain from storms that form along the Palmer Divide. This is nothing to get terrible worried about yet but worth noting if you have plans late in the day Friday. The graphic above shows predicted rainfall through Thursday night, notice the most likely areas are Northern parts of the state and along the Palmer Divide. Not all models agree with this solution though, some show higher rain and some lesser so there is still a bit of uncertainty on Thursdays situation. Friday looks a lot more interesting, not going to show the models just yet because there is a ton of disagreement on areas and amounts, but a lot of agreement that someone will get hammered. I’ll have another update out on Friday morning with new model guidance and information, just be prepared for nasty weather in some areas if you are out and about on Friday afternoon, evening and overnight. SLOW MOVING STORMS ACROSS DENVER AND IN AREAS FURTHER NORTH.